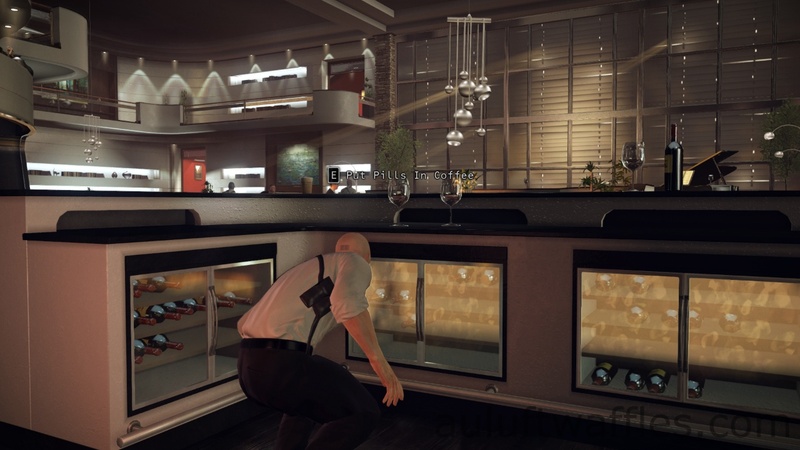 This guide is for the A Personal Contract Mission in Hitman Absolution. 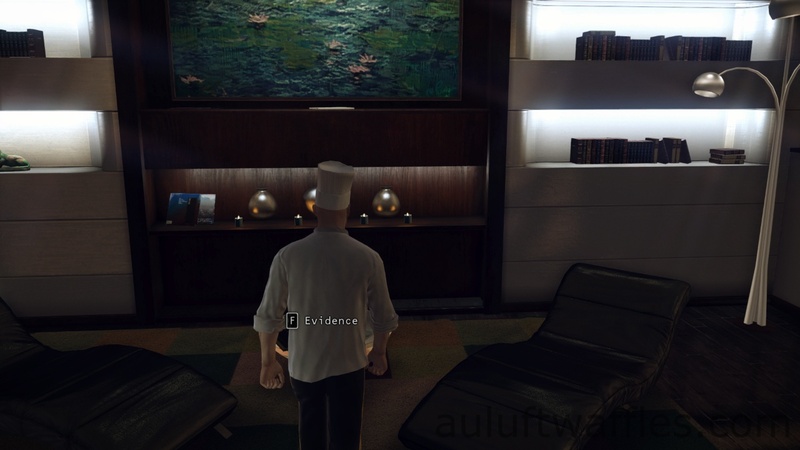 It describes the score maximizing way to complete this mission, which includes how to recover the evidence in this area and how to stay undetected. At the end of this guide is a YouTube video with a visual version of this guide. Wait for the chief of security to have drunk the coffee, then get out of cover and go back into the kitchen. The cook will be sitting passed out on a chair in the left corner of the kitchen. Take his outfit and hide his body in the freezer in the kitchen. Then go through the door that the guard went through earlier. Wait close to the door for the chief of security to have sat down and passed out. Take the key card off the floor and hide the body in the cabinet that is in the same room. Then go up the stairs and follow the balcony around to the door with the key card scanner next to it. Use the key card on the machine and go through the door. Once you have done that it is the end of the part of this mission in which the score system is enabled. 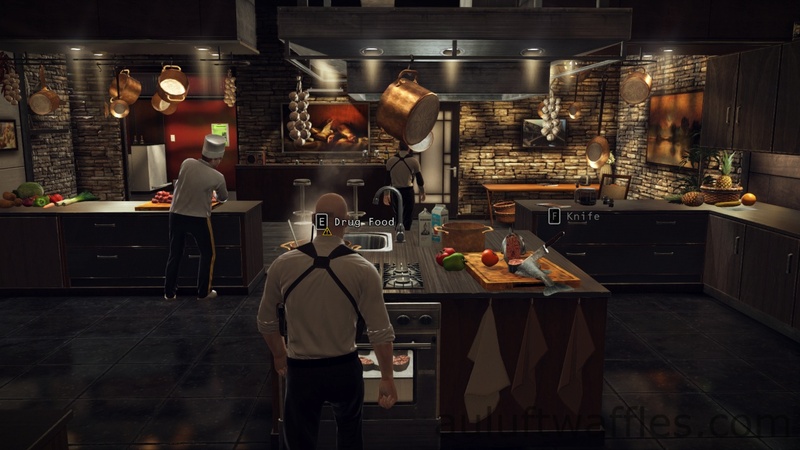 This entry was posted in Hitman Absolution Guide and tagged A Personal Contract, A Personal Contract Guide, A Personal Contract Purist, A Personal Contract Purist Guide, A Personal Contract Score Maximizing, Game, gaming, guide, Hitman, Hitman Absolution, Hitman Absolution Guide, How to Maximize Score, Maximize Score, Maximize Score A Personal Contract Guide, Maximum Score, Purist, Purist Difficulty, Purist Guide, Score, video game. Bookmark the permalink.